Your roof is important to your home's security so it's vital that even the smallest damages are taken care of to avoid even bigger issues. However, what warning signs do you look for to know when repairs may be needed? Don't let the small issues compromise your safety and cost you a fortune to repair, get minor problems fixed before they become majorly hazardous. It's important to inspect your roof and check for any issues. 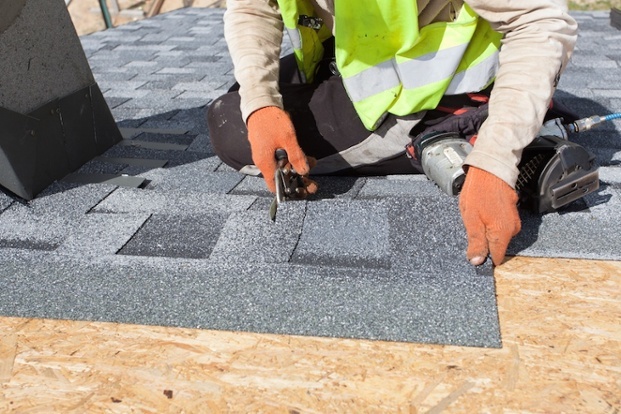 You may feel that one missing shingle here and there may not be something to deal with yet, but the more you put it off the more damage can occur. Missing shingles can cause leaks destroying the walls and foundation. Sometimes the leak can be small and undetectable that the damage is irreparable and expensive. Even a single missing shingle or a few in the right spots can cause these leaks which lead to mold. It's important to know that these spores are dangerous when inhaled for periods of time and can be very expensive to clean out of a home. You may not spot any missing shingles but something else to look out or is if the shingles on your roof are starting to curl. This is a sign that your roof may be old and defective which can lead to serious damages. It would only be a matter of time before they come off completely destroying your roof and causing other problems to your home. This can be difficult to spot because you may assume those patches are there because of dirt buildup. However, this is another sign that mold is starting to form. Vegetation, fungus, mold, or algae growth, or the shingles’ protective granules have been lost are all potential causes of the dark patches on your roof. If These dark spots are not taken care of right away, your home's health as well as your family's health could be in danger of the side effects of mold. Contact an insurance restoration contractor to help assess your roof and see if these patches are signs if roof restoration. They'll be able to put you on the right track to make sure you are getting the repairs you need for the price that works for your budget. This may be harder to spot or can be the most obvious thing to see but sagging is a sign that your roof may be collapsing. There could be smaller areas that seem to be warped but that can still start to cave in, leaving your home open and vulnerable. Sagging areas on the roof can be due to extreme moisture, age or storm damage. This is important to remember for the winter season because snow can be the extreme moisture that starts to buildup snow and add too much weight on your roof. If your roof is sagging, it is a good idea to call someone to go out there and look at it right away. All it takes is one more storm to knock the roof in and cause tremendous damage to your home. When paint starts to peel off, it is most likely due to trapped moisture in the house because of extreme temperature or high humidity from poor ventilation. This could be a sign to replace the roof because of improper ventilation. Poor ventilation can also lead to ripped and damaged shingles which poses their own problems, as discussed earlier. If you experience any of these warning signs but are unsure if they are harming your home, contact insurance restoration specialists for a free roof assessment. Don't lose money if your'e unsure but don't lose even more from the damages destroying your home.